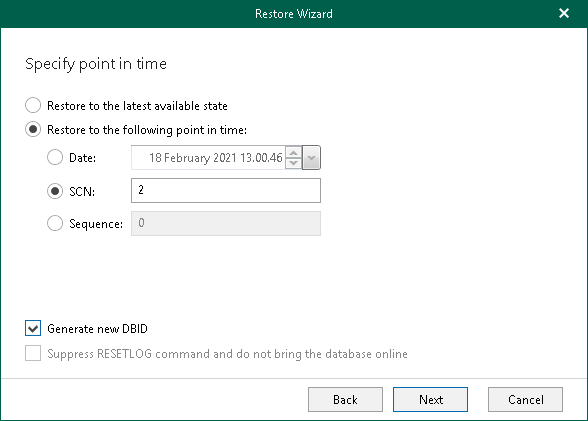 At this step of the wizard, select a point-in-time state as of which you want to restore your data. Recover to the current point in time. To restore data as of the latest available point-in-time state. Date. Select a date as of which you want to restore the data. SCN. Specify SCN (System Change Number). Consider reading this Oracle article to learn more.